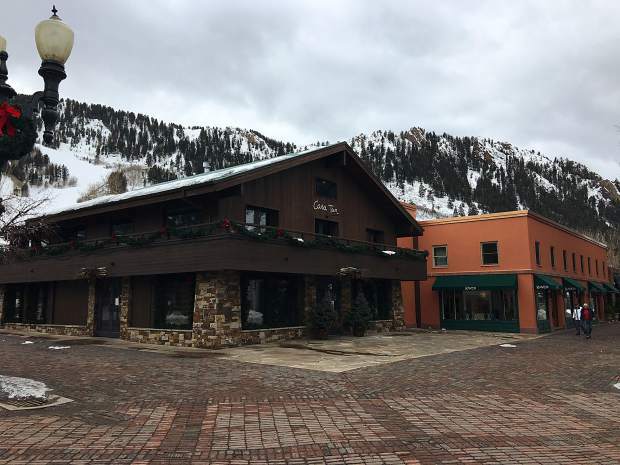 Rick Carroll/The Aspen Times Developer Mark Hunt's $35 million purchase of the Guido's building and the salmon-colored structure next door has fallen through. Hunt said Wednesday that he pulled out because of it was too risky of a deal. 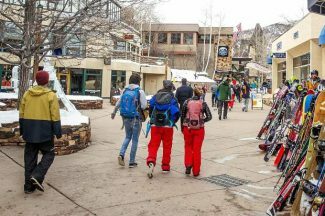 Developer Mark Hunt’s $35 million acquisition of two downtown Aspen buildings has collapsed. Hunt confirmed Wednesday that his purchase of the old Guido’s Swiss Inn structure, currently home to the Casa Tua private club, and its neighboring retail building at 447 E. Cooper Ave., fell through last month. Hunt had the properties under contract to buy for more than two years. His plan was to keep the Guido’s building intact and raze and replace the next-door building, which is occupied by an art gallery, jewelry shop, an upscale clothing boutique and free-market housing. The proposal had gone before the Historic Preservation Commission multiple times. 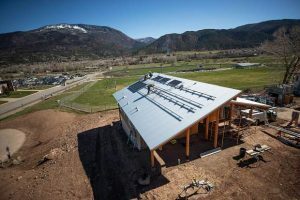 “They had gotten conceptual approval and they were coming back for final design approval,” said Jessica Garrow, the head of the city’s Community Development Department. A follow-up hearing was set for April, she said. Hunt, who owns 10 downtown commercial properties, said the Cooper Avenue property was the only one he had under contract to buy. 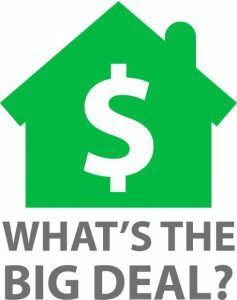 The key players in the deal were set to close on it a few weeks ago at Pitkin County Title before it went south. He wasn’t, and the city’s revised land-use code was the chief factor that drove Hunt’s investors to back out, he said. “We just weren’t comfortable taking that kind of risk, especially after reviewing the new land-use code,” he said. The new land-use code is a sweeping policy change implemented by Aspen City Council that is nearing completion. It tackles such land-use elements as reducing downtown commercial building heights to 28 feet, employee-housing and parking mitigation, and the elimination of future free-market residential in the core, among other changes. Hunt said employee-housing mitigation for the new building would cost him $10 million. Additionally, it would have cost nearly $12 million to tear down and replace the building. The new building, whittled down from its originally proposed 25,000 square feet to 16,000 square feet, would stand 14 feet tall because of the city’s viewplane regulations, he said. And although the project had secured approvals from the Historic Preservation Commission, it would not have necessarily been grandfathered in under the former land-use code, he said. Any amendments to Hunt’s previous approvals could have been subject to the new, stricter land-use code, Garrow said. “If he comes in with a different new building, he would be subject to a new code,” she said. Add it all up, and the financial risks were too to big of a gamble to take, Hunt said. “It was a very, very expensive property,” he said. Some tenants at the building once poised for demolition previously expressed concerns about the project at public hearings. 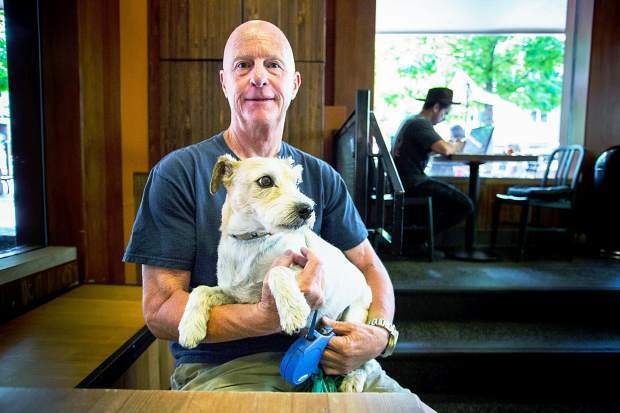 One of them, Frank Heger, who has owned the Aspen Goldsmith jewelry and watch store for more than two decades, said he was relieved the transaction didn’t materialize. If it had, he would have been forced to find a new spot to operate from, provided he could afford it. Guido Meyer, the owner of the two buildings Hunt was going to buy, did not return a telephone message left at his Basalt residence on Wednesday.